SiteGround VS Bluehost Vs HostGator - Which Is Best Shared Hosting? Home » Web Hosting » SiteGround VS Bluehost Vs HostGator – Which Is Best Shared Hosting? SiteGround VS Bluehost Vs HostGator – Which Is Best Shared Hosting? Shared hosting service is a life saver for a blogger who is starting a website. But with so many web hosting companies, it has become very difficult choose the right one with an affordable budget. When we talk about shared hosting service, the top 3 names come in our mind is Bluehost, SiteGround, HostGator. Although the list of really huge some awesome other inclusions like A2 Hosting, InMotion Hosting etc. But in this article, I will be comparing the top 3 shared hosting providers, SiteGround VS Bluehost Vs HostGator. They are good with their services, pricing plan and wth great discounts. But as a beginner, if I have to choose from one of them which one would be the best shared hosting service among SiteGround, Bluehost & HostGator? Price/ month Ranges from $3.95 to $11.95. Ranges from $8.99 to $25.99. Ranges from $5.95 to $9.95. Performance It operates with features like server monitoring, customized server setup etc. BlueHost controls the CPU and protects the user’s site from hackers and spammers. It changes the user’s bandwidth automatically. User Interface Uses standard cPanel as control panel. Uses standard cPanel as a control panel. Uses standard cPanel as a control panel. Customer Support and Feedback It has 24*7 customer service facility. It has 24*7 customer service facility. It has 24*7 customer service facility. Website Uploading Speed It has a speed of speed of 99.99% uptime. It has a speed of 99.73% uptime It has a speed of speed of 99.94% uptime. Service offered Offers various domain and hosting services. Offers various domain and hosting services. Offers various domain and hosting services. Bandwidth And Storage It has unlimited bandwidth with 0GB-30GB of storage It has unlimited bandwidth with 50GB of storage It has unlimited bandwidth with unlimited storage. Website transfer/migration It can transfer websites from another web host to itself and vice versa. It offers two ways to transfer website, one is free and other is chargeable. It offers a limited number of free transfers within the first 30 days of sign up. Extras and discounts It offers its user a free private SSL certificate for one year. The SSL certificates are only available in higher paid plans. The SSL certificates are only available in higher paid plans. SiteGround Pricing: SiteGround has a shared web hosting starter plan at $3.95, but it increases up to $11.95 with services added on like Daily Backups, 10 GB Web Space, 99.99% Uptime, Free Setup, and Transfer. SiteGround is the cheapest when we compare it with the other two web hosting companies. Moreover, it is also easy to set up. BlueHost Pricing: BlueHost provides four kinds of hosting to its users with the lowest being at $8.99, i.e. basic plan and Pro pack having a rate of $25.99. This high-level fee offers 30GB of Disk Space, 2 GB RAM, 5 WordPress Sites, 30 GB Backup. BlueHost is a bit expensive, but it is mostly used for startups and mid-size websites. HostGator Pricing: Similarly, HostGator plans starts at $5.95, and the price rises to $9.95. It offers some great discounts on all these shared hosting plans. It also provides 1 GB Backup, Unlimited Disk Storage, Unlimited Email Accounts, SSL Certificate. HostGator is recommended for small business sites that are new for the companies and need some time for adjusting. SiteGround: Its money-back guarantee is 30 days. It is only applicable for shared web hosting. Moreover, the user gets one free domain name when they open a new hosting account with SiteGround. This domain name remains with the user without any restriction and is free as long as the user has SiteGround as the primary domain of their active hosting account. BlueHost: Its money-back guarantee is also 30 days. But it does not apply to add-on features such as domain name. The user gets a full refund when they cancel within 30 days. If they cancel after 30 days, BlueHost will cut a portion from the amount for the services they have provided in the interim. Users get a free domain name for a year when they sign up with BlueHost. HostGator: HostGator offers 45 days money back guarantee, irrespective of the hosting plan, but some of its services are non-refundable, or the users will be charged if they cancel the connection with HostGator. They don’t offer free domain in most of their plans. SiteGround Performance: SiteGround keeps servers and replacement parts in case of emergency situations. To ensure better performance, it operates with features like server monitoring, customized server setup etc. BlueHost: BlueHost has an AMD processor and make use of CPY segregation which controls the CPU and protects the user’s site from hackers and spammers. HostGator: HostGator uses the powerful Dual Xeon Servers, and sometimes they even change the user’s bandwidth automatically. SiteGround: It uses the market standard cPanel as their control panels. As a result, the user can easily install popular scripts like WordPress and Joomla etc. The real difference is that SiteGround attracts more customers as it has loads of customization options to give the website a more personal look and feel, and hence gives its user more control. BlueHost: BlueHost also uses the same standard cPanel as its competitors. Hence it can do all the things as SiteGround, but it lacks behind in customization and personalization of the website. HostGator: HostGator also uses the same standard cPanel as its competitors. But it has a low-grade interface due to lack of services and a tool which helps the user to customize and improvise their website according to their requirements. SiteGround: SiteGround gives the user an option for live chat and toll-free voice support. The wait time is a lot less for SiteGround. It is generally around 5 seconds for live chat and 10 seconds in a toll-free voice call. They try to help the customer with a 24*7 customer service facility. BlueHost: BlueHost being the best in the industry, it has an impressive 24*7 service, and it very useful for the customers in cases like when the site is down, the site has crashed or if the Plugins are not updating, etc. HostGator: HostGator just like its competitors also provides 24*7 customer service, and it also has a very productive response time. SiteGround: SiteGround has super-fast uploading speed with a speed of 99.99% uptime. BlueHost: BlueHost comes in last in this category with a speed of 99.73% uptime. Many customers have also complained about the slow uploading speed of BlueHost. HostGator: HostGator is just five-tenths behind SiteGround with a hypersonic speed of 99.94% uptime. SiteGround: SiteGround offers shared cloud and reseller hosting, dedicated servers and domain names, website migration. BlueHost: BlueHost also provides some service like domains, shared hosting packages, cloud hosting, dedicated hosting, and WordPress hosting with one-click installation feature. HostGator: HostGator also offers shared hosting, domain names, dedicated WordPress hosting, cloud hosting, VPS and dedicated servers. SiteGround: This is the only category where SiteGround falls short of the rest. It has a 0GB-30GB of storage with different plans. People may feel satisfied after noticing this feature on paper, but it isn’t much when taken the rest in context. So, Bandwidth is near about unlimited for SiteGround. BlueHost: BlueHost continues its run in second place as it offers unlimited bandwidth with 50 GB of storage. HostGator: HostGator takes the lead in this category as it provides its customer with an Unlimited Bandwidth as well as unlimited storage. This gives its customer the license to store anything. SiteGround: SiteGround has the best website transfer service. It offers a special feature to transfer websites from another web host to itself and vice versa. BlueHost: There are two ways to move the site to/from BlueHost. One way is free, but the fact is that the user has to transfer the site all by himself. The second one cost around $149.99 and the user can use its website transfer service to transfer as many as five sites and 20 email accounts. SiteGround: SiteGround gives its user Cloud Flare CDN. It also offers its user a free private SSL certificate for one year. If you want more offers, then make sure you check out the 75% off SiteGround Black Friday sale 2018. BlueHost: BlueHost provides the customer $100 Google Adwords Credit. The CDN and SSL certificates are only available in higher paid plans. Enjoy 65% off discount using Bluehost Black Friday 2018 Sale. HostGator: In the case of HostGator, the user gets only $100 Google Adwords Credit and a CDN while SSL certificate is available in high plans. Make sure you find the 80% Off HostGator Black Friday deal. Besides that, HostGator offers multiple coupon codes and promotions throughout the year. Here are few of their active HostGator Coupons. SiteGround: Once the website accumulates over 10,000 visitors a month, the user will need to upgrade it to a higher plan. Moreover, the disk space has a maximum space of 10-30 GB (Depending on the plan), this can be a problem after a while if the user decides to store email inbox on the server. BlueHost: A bit on the expensive side for any user who is just starting out with WordPress, blogging or having a business site on WordPress. HostGator: The user can only run a single WordPress site on HostGator’s cheapest plan. 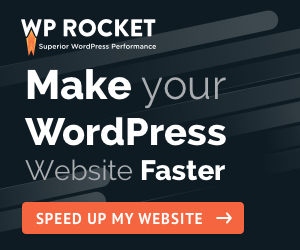 On the other hand, other hosting providers offer more WordPress site within that price range, or otherwise, they charge low prices than HostGator. It has cheap plans and better services. SiteGround also gives the user more security. For new users, SiteGround offers the best plans to choose from which are also affordable. The customer support team of BlueHost and HostGator is not as efficient as SiteGround. According to customer feedback, the websites hosted on SiteGround are better to use and operate than those on BlueHost and HostGator, as they have slow uptime and loading speed. SiteGround is more suitable for newcomers as they have a training program and features which are easy to understand. Moreover, the user has free website migration/transfer, so that they can transfer sites easily. SiteGround is also officially recognized by WordPress as they offer affordable WordPress hosting. SiteGround offers faster servers and better performance than its competitor due to features like SSD drives and HTTP/2 etc. SiteGround have many well equipped free security features for its user like daily backups, malware scans and DDOS protections for free. But in the case of other hosting providers, the user has to pay extra charges for these additional features. Hence by looking at the above points, we may conclude that SiteGround is the best rated shared hosting plan with quality support. But if you need a cheaper plan with more features, then go for Bluehost or HostGator. Hi Santanu, excellent post and highly useful for the people who want to find out the best affordable hosting choices. I know that all the 3 hosting sites are great and offer excellent features at great prices. But here’s the thing: I’ve used all of them (and using 2 of them still) and I know one thing for sure, they are beginner friendly hosting sites and definitely not recommended if you’re looking for “high-performance sites”. I once had a bitter experience with HostGator, one of my sites got hacked and when they contacted their support team, they didn’t even respond. Lost a lot of sales and traffic during those days. Then, I moved to WPX hosting which is incredible. So yes, there are always pros and cons and with the above-hosting sites. But if I had to go with only one of them, I’d go with SiteGround. It’s the top-notch hosting choice offers great features with SSD storage and also at low prices. Thanks for the detailed review, hopefully, it will be useful for the new readers. Keep up the great work! I’m commenting as I promised from the Facebook group. Hi Anil, Many thanks for sharing your experiences here. You are absolutely right, All these 3 hosting services are good for beginners. 2 years back I started this blog on Bluehost and still continuing. I read many good reviews about SiteGround though, but with Bluehost so far I did not face many issues.